Last month, we announced the winner of our 2015 Caught in the Act (CITA) staff vote, Cristal Logothetis, of Glendale California — the founder of a group called “Carry the Future”, whose mission it is to provide baby carriers to Syrian refugees fleeing their home in search of safety. Among other things, Cristal and her peers have been able to distribute some 6,000 carriers since the group’s launch in September 2015, and with their recent momentum and well-deserved publicity, their incredible work likely won’t be slowing down anytime soon. Now, we’re pleased to announce that after a weeks-long public voting period, our second winner has been chosen (all thanks to you, our supporters, and your friends and family). 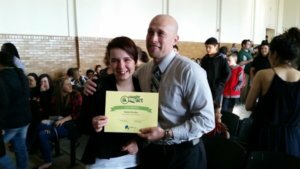 We’re proud to bestow the honor of a $2,000 prize on Katie Dunbar, a Galesburg, Illinois student who took the fight against bullying to a whole new, extraordinary level. With the help of her her school teachers and administrators, Katie organized the group as a way to help struggling peers who were seeking a safe space to talk. After obtaining funding from their school’s Booster Club, the Take a Stand club began meeting weekly with fellow students and mapping out the group’s future. In January last year, Katie was honored with the the City of Galesburg Youth Extra Effort Award, and her name was engraved on a plaque that now sits at the Galesburg City Hall. Katie’s bravery and hard work hit a special note with Random Acts’ supporters as well, who eagerly and overwhelmingly voted for her to receive this year’s official CITA Public Vote award, along with a $2,000 cash prize. “Katie took her saddest, loneliest moment and instead of letting it break her she decided to change the world,” Lombard Middle School teacher Mary Keith wrote in her official CITA nomination form, back in December. 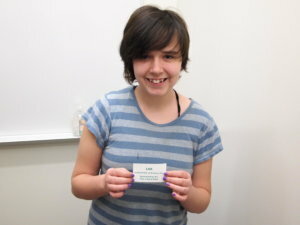 For that, and so much more, Random Acts is pleased to honor Katie as this year’s Public Vote winner. Congratulations, Katie! You can check out footage of both of our winners below. Miss this year’s CITA nomination period? That’s okay — there’s still plenty of time to submit a name for next year! 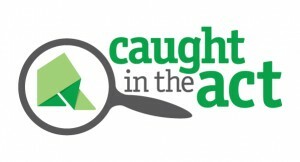 Caught in the Act is your chance to reward those people in your community who provide an exemplary model of kindness to others, and ensure that their efforts are recognized and highlighted. Simply head to our official CITA page here to read up on the rules and submit a nomination form as instructed.